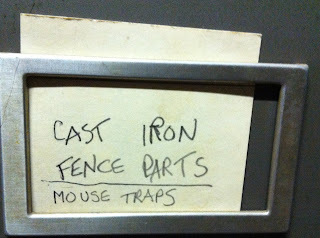 If hope is the thing with feathers, that perches in the soul, then what is the thing with mouse traps that lives in a drawer with the fence parts? 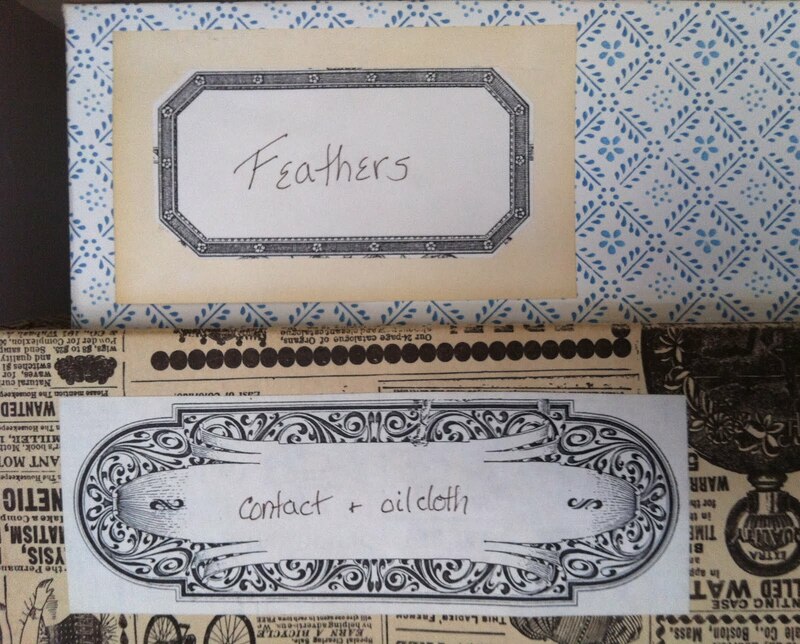 Does it go without saying that the feathers and oil cloth and their fancy papered boxes lived on the third floor, and the cast iron and mouse traps were relegated to a grimy old file cabinet in the cellar? Would that all the crazy things in my mother's house were so beautifully labelled. I think it might be desperation. At least you know what to expect before you open a drawer. Unless it was a trick. I won't ask why any of it was saved. I know. Please continue to take pictures of labels. I think I have a new passion.